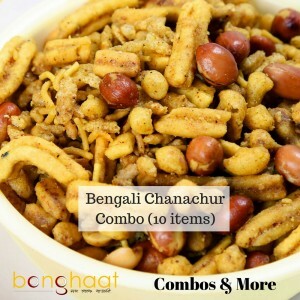 This monthly Bengali Chanachur Combo has been designed keeping in mind the daily need of authentic Bengali Chanachur in Bengali households. We have hand picked this delicious assortment of Chanachurs from the house of Mukharochak, Bapi Chanachur and Kit kat Chanachur. 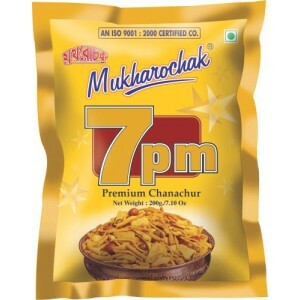 This Chanachur Combo pack consists of 10 varieties of Chanchurs namely Mukharochak Special Papri 150G, Mukharochak Sweet N Sour 200G, 7 PM 200G, Mukharochak Mirchi 200 G, Bapi Chanachur Tok Jhal Misthi 200 Grams, Bapi Chanachur Special Papri 100 grams, Bapi Chanachur Super Salty (200 Grams), Kit Kat Tok Jhal Misthi 200 Grams and KitKat Special Papri 200 grams, Kai Kat Salty Chanachur 200 grams. So why wait? Subscribe monthly to authentic Bengali Chanachurs from Bengal just at the convenience of a click. 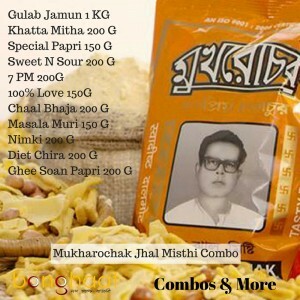 This Bengali Chanachur Combo (10 Types) will be delivered to your address first week of every month for next three months from the date of booking. 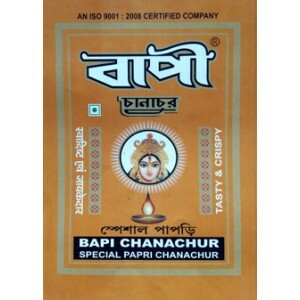 Bapi Chanachur is manufactured by Sree Durga Food Products in Kolkata. Bapi Chanachur is a household name wherever Bhujia and namkeen are used. The group's philosophy is the quality, not quantity. The main emphasis of the group is to maintain high standard of its products. The group also maintains strict quality control right from procurement of raw material to its finished products. This has yielded great results for the group. This Special Papri Chanachur is very popular chanachur in Bengali families and this chanchur is taken as anytime snack or as a spread for any celebration or parties. 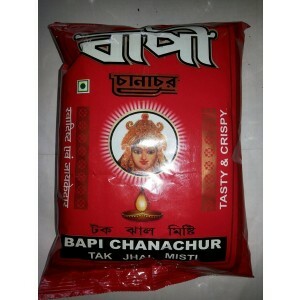 Bapi Chanachur is manufactured by Sree Durga Food Products in Kolkata. Bapi Chanachur is a household name wherever Bhujia and namkeen are used. The group's philosophy is the quality, not quantity. The main emphasis of the group is to maintain high standard of its products. The group also maintains strict quality control right from procurement of raw material to its finished products. This has yielded great results for the group. This Tok Jhal Misthi Chanachur is very popular chanachur in Bengali families and this chanchur is taken as anytime snack or as a spread for any celebration or parties.